Auburn Rotary Club hosts luncheon at Keisel Park for the Volunteer Garden Tour. 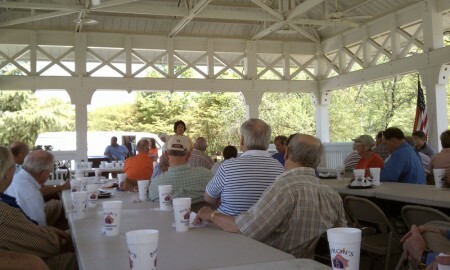 Rotarians met in the outside pavilion and enjoyed a tour of the grounds and amenities offered at Keisel Park. Food provided by Byrons BBQ.